A new law that restricts how much charities can campaign in the lead up to the United Kingdom election has many of them “frightened” and is stopping them from speaking out on important issues, according to a new report. The BBC has reported that a report by the Commission on Civil Society and Democratic Engagement, chaired by former Bishop of Oxford Lord Harries, claimed that the law was having a “chilling effect” on organisations that feared breaking the new law. The Lobbying Act was introduced in late 2014 and created new rules for charities, NGOs and campaigning groups undertaking public-facing campaigns in the run up to national elections, including the 2015 General Election, which will be held on May 7 this year. It also means that in the run-up to elections, charities spending more than £20,000 in England or £10,000 in other parts of the UK on particular regulated activities must register with the Electoral Commission as non-party campaigners. Lord Harries told the BBC he expected come campaigners to face legal challenges. "We've had clear evidence that a number of campaigning groups have already decided not to campaign or not to join with other bodies to campaign on an issue because they are frightened of running foul of the act,” Lord Harries said. According to the BBC, the report from the Commission on Civil Society and Democratic Engagement found that more than half of the organisations it surveyed said compliance with the Lobbying Act made their work more difficult even before the election period began. The BBC said under the new rules, non-party political campaigners must comply with lower spending limits than existed at previous elections, from last September to polling day. 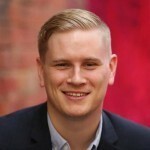 “More activities – such as public events, market research and press conferences – have also been brought under the scope of the act,” political correspondent Ross Hawkins said. “Charities and campaign groups' work counts towards the spending total if it can be seen as intended to influence voters, and is aimed at the public. Bond,a UK membership body for organisations working in international development or supporting those that do, said that the new law would have negative effects on charities. “The Lobbying Act provides a set of rules to govern people and organisations that publicly campaign on issues in the run up to elections but are not standing as a political party or candidate,” a paper issued to Bond members said. “Many Bond members have a long tradition of running impactful public campaigns, including using elections as a key moment to push all parties to agree specific campaign asks. Chief Executive of the British Electoral Commission, Peter Wardle, defended the laws saying they would improve transparency during election periods. “Non-party campaigners are vital to a healthy democracy and we encourage their active participation,” Wardle said.